Many people often wonder what all the fuss is about. Why should anyone seek the assistance of a clinical dietitian or pursue a physician weight loss program? After all, aren’t bookstores, the Internet, and even the magazine rack at the corner shop practically overflowing with a superabundance of tips, tricks, and trivia on the subjects of weight management and the latest, hottest nutrient super foods? That overload may be the best reason of all to get to know Dr. Katalin Csoka, your holistic nutritionist in Orange County. There is so much information available that it can become a source of stress and confusion, only adding to the list of stressors many already bear on a daily basis. Additionally, many of us lack the time or expertise to critically evaluate the quality of that information, leaving us to rely on the authority of the source itself, which may have alternative agendas that have nothing to do with what is actually healthy for us. These motives may be to further the monetary gains of companies marketing a wide range of products from cosmetics to a patented superfood product–like açai juice or green tea extracts. The point is, how much of the story are you really getting, and what’s the angle of that information? Dr. Csoka, an Orange County dietitian may be able to clear things up, and provide you with the answers to questions that are specifically relevant to your needs. Much as with anything else, when we need something fixed, altered, or solved we seek the services of an expert. We take our car to the mechanic, our clothes to the seamstress, and our taxes to the accountant. So, why should someone interested in pursuing a clinicaly-sound nutrition plan seek the services of a clinical dietitian or get to know their holistic nutritionist in Orange County? Why not visit your general practitioner who treats everything else? While your regular physician may be perfectly competent to assist you, the problem is one of specificity. It is precisely the “everything else” that may prove a roadblock to the optimum solution for your needs. Think of your Dr. Csoka as a specialist, rather than a generalist; she is specially trained to assess your dietary needs and produce an optimal plan to meet those needs. Your GP can prescribe medicine for your stomach flu or treat that scrape on your elbow. A holistic dietitian is one who sees the big picture of nutrition, and focuses on designing the right plan for you. 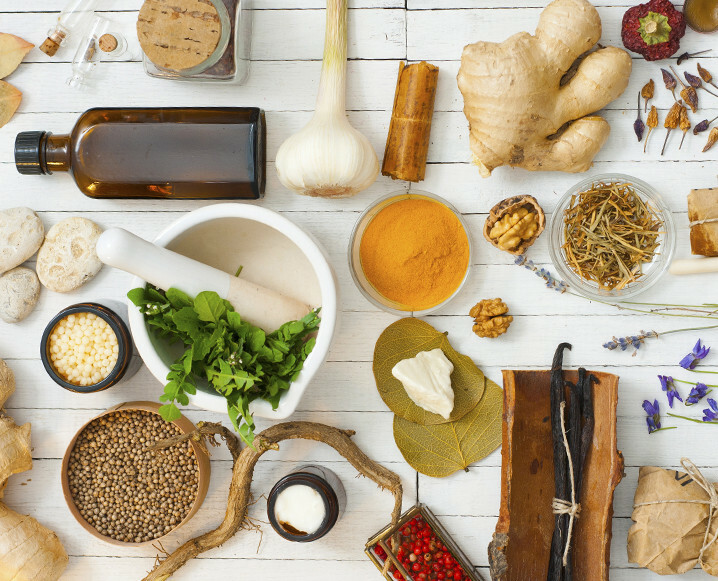 What that basically entails is knowing what herbs, vitamins, and whole foods do. It’s more than just the name of a grocery store; it describes the complex interactions of phytonutrients and micronutrients (the chemical compounds that occur naturally in all complete foods) as well as how they function together in our bodies. When you extract any one or several of these substances from their original medium, you limit their effectiveness. While this may be excellent for laboratory standards of measurement, standardization and predictability of effects, and even marketing of patented products from heart medication to fruit juices, it isn’t always the best thing for the human body. The benefits of consulting with a holistic nutritionist go beyond simply looking sensational. While much of the push in mainstream advertised “dieting” trends focus on short-term, surface results, with often unhealthy emphasis on one aspect of the nutritional spectrum, Dr. Csoka will design a plan that focuses on the right balance of foods, herbs, and vitamins to ensure long-lasting vibrant health, a stable and natural body weight and a heightened sense of well-being that will be with you for the rest of your life. Their aim is not to mortgage your future health to ensure a brief span of culturally acceptable aesthetic appeal, but to enhance and extend the natural beauty that accompanies excellent health. While some may see these consultations as unnecessary expenditures, they are rather the opposite. If you consider what you might spend to keep your hair glossy, your eyes and skin bright with health, your body trim, functional, and disability-free, and your energy levels sufficient to accomplish every personal and professional goal, you will realize you are indeed conserving your resources in every respect, and you feel great all the way through. (949) 690-2396 for house calls. – House calls by appointment ONLY!